Every business—from the mom-and-pop shop to corporate America—will encounter some form of crisis during their operation. Crises come in all shapes and sizes, including employee malingering, internal theft, brand protection, and a myriad of lawsuits that could bring an established business to its knees. When disaster strikes, it is the reflex of most companies to handle the matter internally, often delaying important investigative measures out of uncertainty, ignorance on how to proceed, or both. While an internal investigation allows a company to control available information and minimize any consequences, an independent external investigation conducted by a private investigator is the best course when it comes to finding a comprehensive solution to any corporate crisis. The important thing to remember is you cannot wait when a crisis arises, and hiring a private investigator should be one of the first items on your to-do list. Independent private investigatiors provide the best solutions from the onset of the investigation. Investigators too often run into roadblocks during investigations because they are working from a narrative and timeline that has already been established by an internal party. When you have a qualified and objective investigator handling the investigation from the beginning, it lays a solid foundation that will lead to credible leads, proper gathering of evidence, and quality conversations with potential witnesses. During a fact-finding process, internal investigators may not have considered all angles and left many leads unexplored. Potential witnesses within the workforce need to be interviewed and their statements recorded, but an internal investigator—usually a Human Resources representative or upper management employee—may not have the qualifications. Any witness testimony may be tainted because the investigator is not properly trained in interview and rapport. Witness statements could also be false or inconsistent because they fear reprisal from an internal investigator who may have clout when it comes to the employee’s future at that business. When a private investigator is retained weeks after the onset of the investigation, witness’s memories may be inaccurate or even non-existent. In some cases, an employee may have already left the company, or changed addresses. This results in more investigative measures required to locate that employee, which costs money and labor hours to the investigator. Witness statements are valuable, but not so much as hard evidence that cannot be interpreted for a particular spin. One common example is surveillance footage. An internal investigator may think to pull surveillance footage from a single camera near the site of the incident or crisis, but the investigator may not pull surveillance footage from other cameras that could contain valuable information. Most companies invest in security systems that recycles surveillance tape after a short period of time, sometimes as little as five days. Once an independent private investigator is retained, valuable footage is gone, and other fact-finding measures will be necessary—again, more time and money at the cost to the company. It is possible for an internal investigation to play out smoothly—at least at first glance. Even if the internal investigator is well-qualified to conduct the investigation, there will always be the question of objectivity when dealing with an internal investigation. A successful investigation that concludes with the termination of an employee who was found to be at fault for the crisis or incident has the potential to result in legal action. In this example, it would be a wrongful-termination suit. When argued in a court of law, it’s easy for the terminated employee to cast doubt on their former employer by citing the investigation into their wrongdoing was conducted by an internal employee with a direct stake in the outcome. When a private investigator handles the investigation from beginning to end, there will never be a question of objectivity, because a private investigator’s task is to find the truth—not manufacture a solution that will mollify their client. When your company encounters a crisis, do not hesitate to retain a private investigator to find a solution. The time and resources spent on an internal investigation may all be in vain when the chips are down. 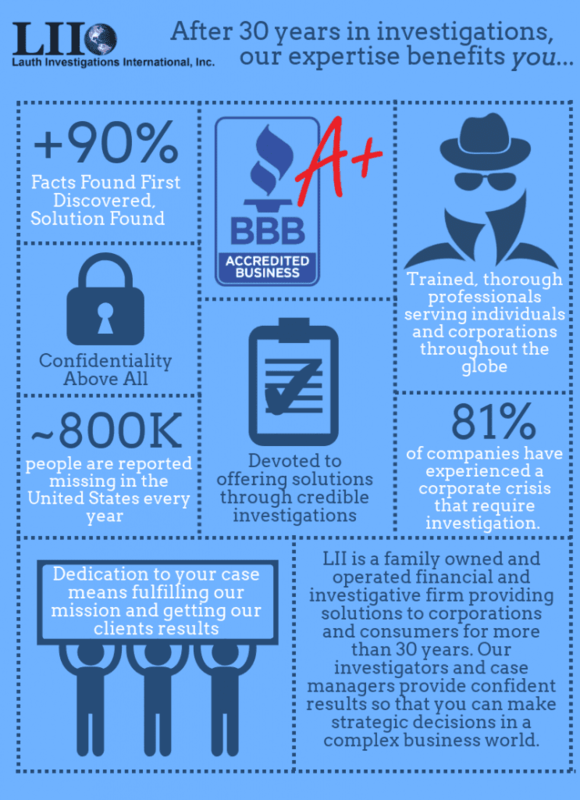 To protect your business and its profits, take immediate action when a corporate crisis arrives by retaining a private investigator that will provide you with the expertise and objectivity for a successful solution.